Now on Etsy! The ChemKnits Creations Shop is now open! I am excited to announce the launch of my Etsy Store, ChemKnits Creations! 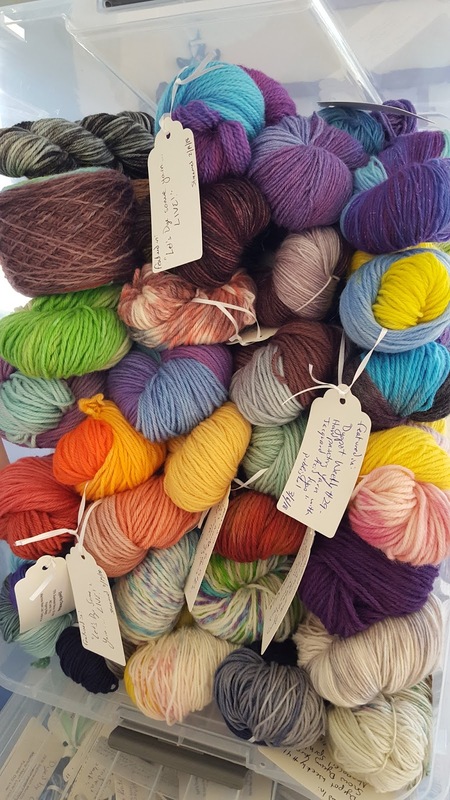 The shop has over 100 skeins of hand dyed yarn that have been featured in past, and upcoming, ChemKnits Tutorials yarn dyeing videos. Since the Dyepot Weekly Kickstarter last fall, I have created over a hundred new dyeing videos. This means that I have created hundreds of skeins of hand dyed yarn. Even after fullfilling all of my Kickstarter rewards, I was left with a large volume of yarn. 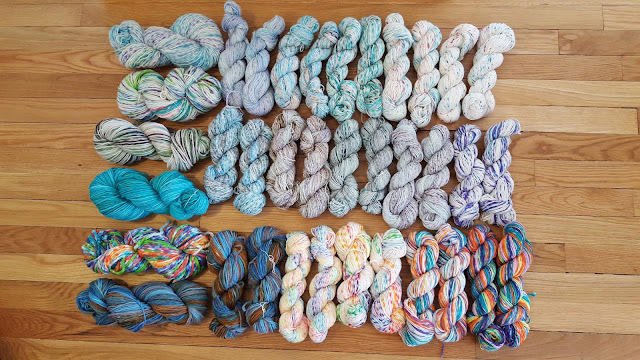 Almost all of the yarn in the ChemKnits Creations Etsy store was dyed in 2018. There are a few skeins that are older, but it is amazing to see what I have created in just the last few months. I want to destash these yarns to help make room for more hand dyed yarns and so I can buy more materials for dyeing videos. Some of the yarns listed in the ChemKnits Creations Shop. In my dyeing videos, I create many different unique yarns on in a variety of fiber types. This diversity is reflected in the ChemKnits Creations shop. There are a lot of worsted weight 100% wool and Superwash Merino Nylon blend sock yarn, but there are also silk blends, acrylic blends, and more. Did you love a yarn from the sock blank special? Multiple matched 50 g pairs are in the shop! 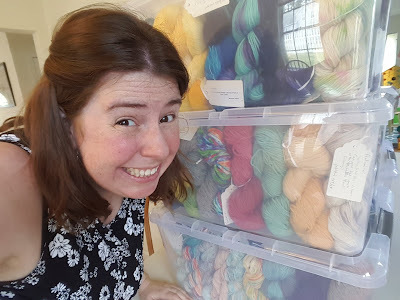 Many of you have been asking me if I sell the yarns that I dye, and I am so happy to finally be able to answer, "YES!" I know that I dye more yarn than I could ever knit with, so I am so happy to be able to share the fiber love. Check out the ChemKnits Creations Etsy Store today! 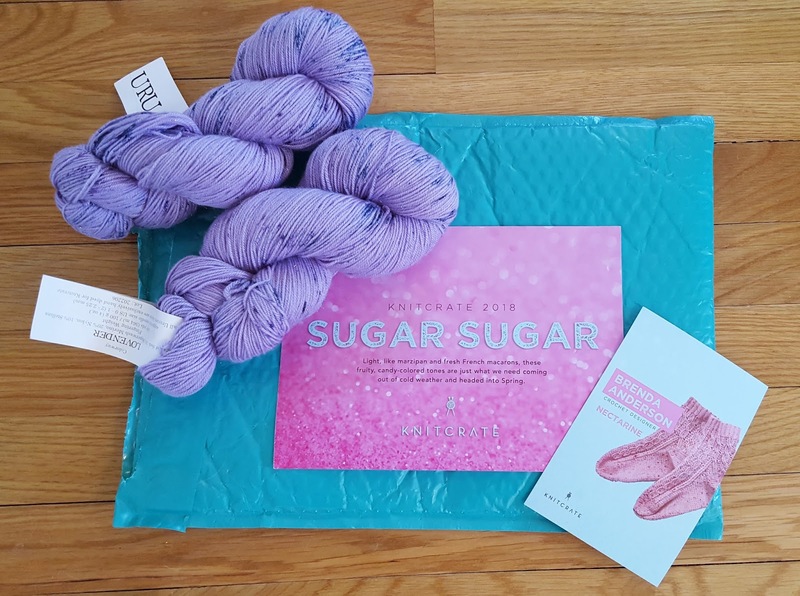 KnitCrate is a company that provides fun surprise packages through their yarns subscription services. These crates feature hand dyed yarns (from both in house dyers and independent dyers) and patterns from independent designers. 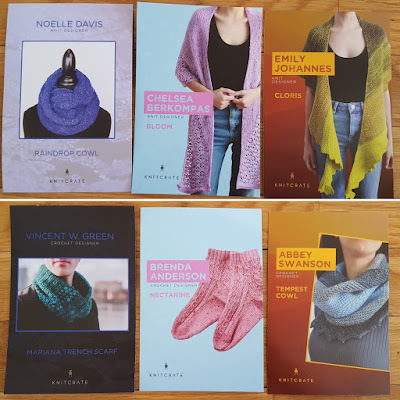 I was delighted when they reached out to me this February and offered to send me a few months of their KnitCrate Membership subscription so I could test it out. Last week, I received my third KnitCrate package. The more I learned about KnitCrate in these last few months, the happier I was to be working with them. Today I want to share with you 10 reasons why I love KnitCrate. Each month when that bright turquoise package lands on my doorstep, I don't know what type of yarn I am going to get. The yarn weights, colors, and fiber content are a surprise every month! (Unless you are using one of their sock yarn clubs where you will get a different kind of sock yarn every month.) 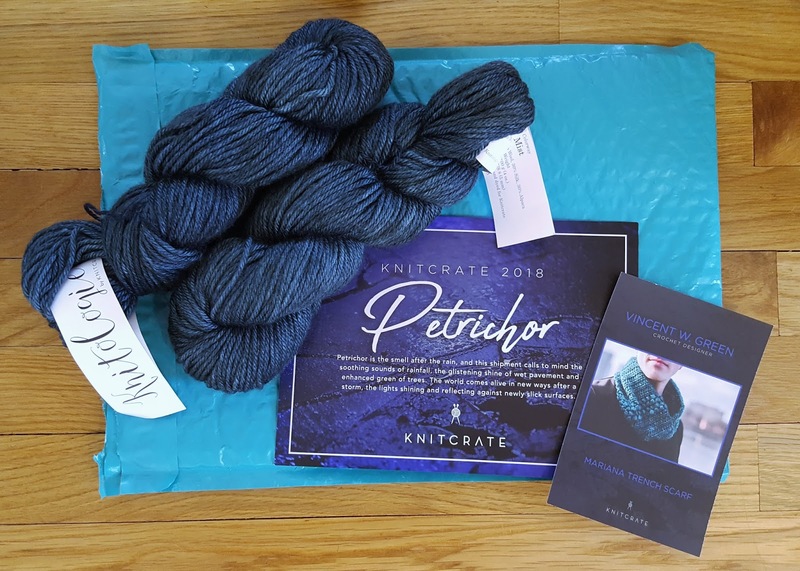 One of the best parts of their flagship kit, KnitCrate Membership Subscription, is that even if you see spoilers, there are 3-4 different colorways each month. Therefore, you might know something about the type of yarn you will receive, but the color in your package will always be a surprise. 2. Free Shipping, Even International! The price of all KnitCrate subscriptions include shipping costs. 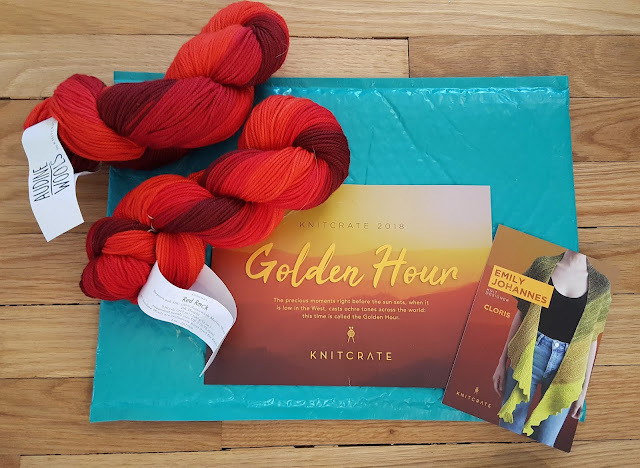 International members might need to pay import duty and taxes to their home country, but they won't pay KnitCrate any extra for shipping for any of the different crates. KnitCrate subscriptions start at just $19.95 for the Sock Crate Membership. The KnitCrate Membership Subscription that I've been unboxing is only $24.99 and includes two 100 g skeins of hand dyed yarn, free shipping, 1 crochet pattern, 1 knitting pattern, and exclusive discounts in the KnitCrate Member Central shop and at some KnitCrate partners. 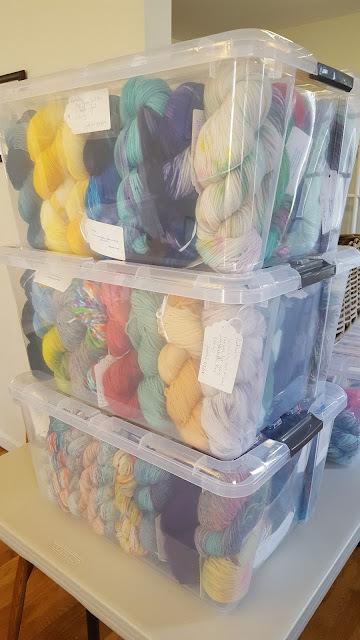 To put this in perspective, if you love the yarn from a kit and want to buy some more, you can get some more skeins at a discount (up to 25% off in the Member Central.) Yarns featured in the February and March 2018 KnitCrate Membership kits are $18/skein for members, but $24/skein for people who don't have a subscription. (You can see the discount when you log into your account.) If you factor in the cost of two $24 skeins of yarn, $5 shipping, and $5/pattern, you get to a value of $63 for the KnitCrate membership kit. Members also earn KnitCrate Stash Points every month which you can save up for coupons off your next month's crate or for coupons to use in the Member Central. There's nothing worse than buying some cool yarn and then realizing once you are home that you do not have enough to complete a project. Each KnitCrate membership kit comes with two patterns, 1 knitting and 1 crochet, and you have enough yarn to make either of the patterns. When I pick my own yarns, I tend to choose purples, blues, and greens. KnitCrate helps me come out of my comfort zone by sending me a surprise color each month. Sometimes they send me the one I might have picked, otherwise it is something new, that brings me out of my color comfort zone. I love that the KnitCrates come with links so you can download the knitting and crochet projects either to your computer or directly into your Ravelry library. I find the patterns to be an excellent suggestion of what to make with the yarn, but sometimes the patterns inspire me to use the yarn for something already in my queue. Since I don't have to worry about keeping track of paper patterns, I can save them in my library to use when I'm ready. The pattern download link is located on the back of the kit theme. When you type that link into your computer, it is only a couple clicks of a button to add them to your library. The Designs from 3 months of my KnitCrate Membership. The postcard has the crochet pattern on one side and the knitting pattern on the other. KnitCrate has multiple different programs for working with independent designers (see the link to Designer Programs at the top of their website.) For patterns featured in the monthly creates, designers can pick between a flat fee or royalty program. For the designer, being featured in a KnitCrate means that you will get more people checking you out on Ravelry. Each of the KnitCrates includes coupon codes for the designers' Ravelry shops, which provides incentive for people to check out their other patterns. If I try someone's design and love it, I am much more likely to buy another pattern from them versus try someone new. KnitCrate has two subscriptions that feature Independent Dyers, Artisan Crate and Sock Artisan Crate. 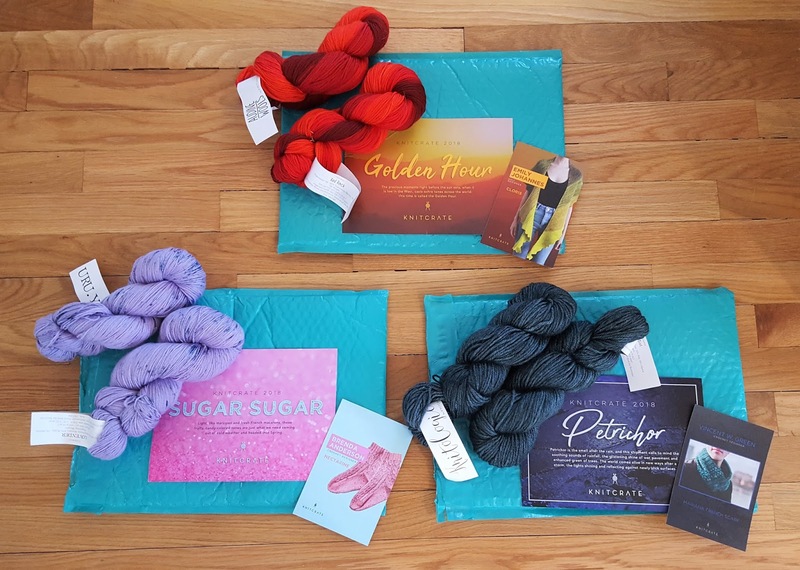 I haven't tried any of these kits, but I love the idea of a surprise yarn package that features a different Indie Dyer every month. There is also a great potential for cross promotions, KnitCrate promotes the dyer, and the dyer promotes KnitCrate. 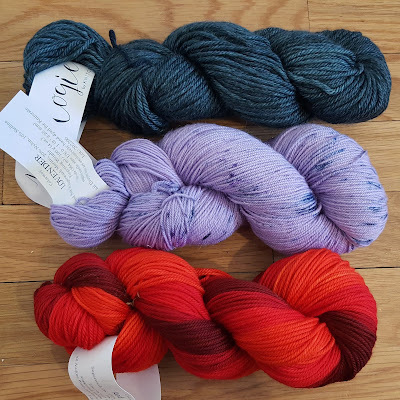 I know that the first thing I would do upon getting a surprise indie dyed skein of yarn is to look up the dyer's shop to see what other types of yarn they offer. I really like that KnitCrate makes it so easy for all consumers to see the programs for Indie Dyers and Designers, it makes me really respect the company. You can learn more about the Indie Dyer Programs by following a link on the top of KnitCrate's website. When the teal mailer shows up on my doorstep, I know that it is going to be full of beautiful yarn. It brings me joy straight from the beginning! I mentioned above that KnitCrate offers yarn support to their indie dyers, but they also let everyone in the community to buy their bare yarns. DyerSupplier by KnitCrate is an ethically sourced line of undyed yarns at wholesale prices. The prices are very reasonable and most of the yarns come in 10 packs. Singles skeins are available for select yarn lines so you can try the yarn out before committing to buying multiple. My First 3 Months of KnitCrate! Thank you, KnitCrate, for letting me try out your subscription service! I am so happy to share this with everyone. Do you want to give KnitCrate a try? Use the code ChemKnits20 at checkout for 20% off your first month! Disclaimer: KnitCrate sends me the monthly KnitCrates for free and I am part of their ambassador program. All thoughts and opinions in this post are my own.